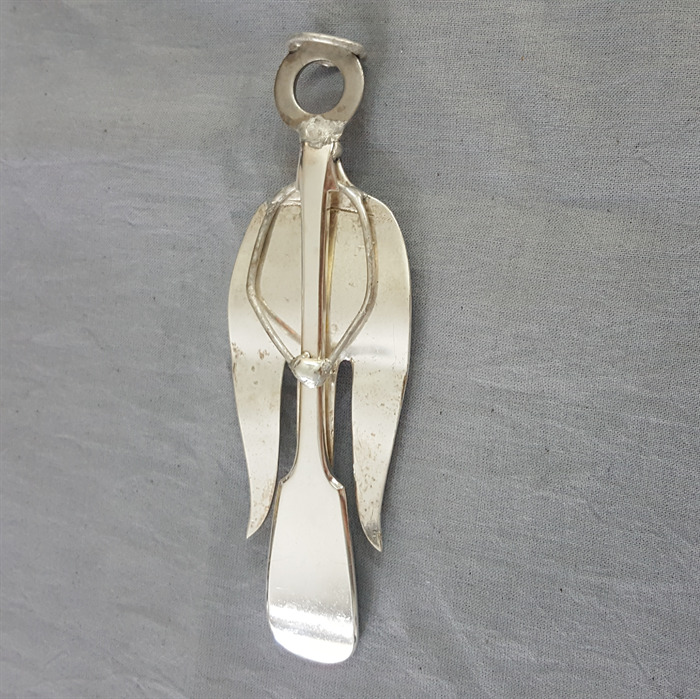 This angel has been made by hand from vintage silver plated cutlery pieces and is an individual work of art which will last for many years. It can be hung from the halo or used as a table decoration. It stands 16 cm tall, is very sturdy and would make a great gift for someone who is dedicated to recycling. All pieces have been hand made from vintage, recycled silver plated cutlery. They are all made with care, using traditional tools, in my home workshop. Although my tools are modified to reduce the risk of scratches or marking on the pieces, it should be accepted that most are at least 50 yrs old so may show some marks from their previous life.